The Lord Mayor of Birmingham will open the 23rd National Dwarf Games on Saturday 30th April at Alexander Stadium. Over 190 athletes from around the world are set to take part in the Games, competing in 12 sports including track and field events sanctioned by the International Paralympic Committee, indoor sports, swimming and football. On Saturday 30th April the National Dwarf Games will be officially opened by the Lord Mayor of Birmingham at Alexander Stadium, Perry Barr. Competition will then get underway in track and field events. On Sunday 1st May the Games head to Aldersley Leisure Village in Wolverhampton for the indoor sports competition. 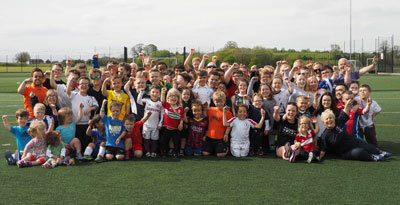 Swimming and football events will take place on Monday 2nd May at Cheslyn Hay Leisure Centre in Walsall. DSAuk and The National Dwarf Games has a long history of supporting athletes on their pathway to national, international and Paralympic sporting success. DSAuk Patrons Ellie Simmonds OBE and fellow swimmer Matt Whorwood, and powerlifter Zoe Newson have all competed at the National Dwarf Games early in their sporting careers, and have since gone on to compete at international and Paralympic level. Entrance to the National Dwarf Games 2016 is free and spectators are welcome to come and enjoy a unique weekend of sporting action. The DSAuk games costs over £15,000 to provide, if you would like to sponsor the whole event or any part of it please contact the DSA office.